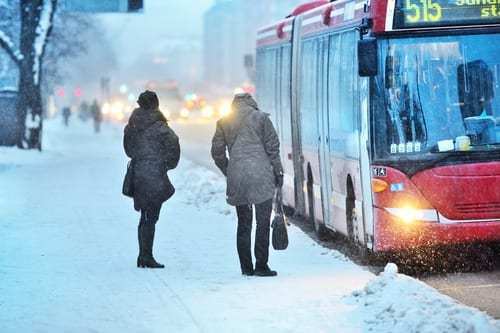 Why is it we need extreme weather combined with commuting chaos, to remind us that there is a smarter and more effective way to enable the workforce today, rather than getting hot (or cold) under the collar? More and more companies are seeing “Agile Working” as a key part of their “workplace” strategy to deliver greater returns and attract and retain the best talent. The average British worker spends an hour commuting to and from work every day, while those working in the capital can expect this figure to be doubled. This is not taking into consideration British weather extremes, melting rail tracks, leaves on the line, potholes, sinkholes and our overburdened roads and motorways delaying things further. Even at the best of times, the daily commute can take its toll on your employees’ productivity, well beyond the high levels of stress and frustration it may cause, leaving employees exhausted before their working day has even begun. Productivity is linked to the environment we deliver for our workforce, which is why ‘Agile Working’ is often a balanced approach to ‘workplace’ http://healthsavy.com/product/propecia/ design (the office environment) and ‘workplace technology’ (flexible and mobile workflow). 69% of employees living in London who work flexibly report they are satisfied or very satisfied with their jobs, compared to 52% of employees that are unable to work flexibly. 24% of flexible workers report being under excessive pressure every day or once or twice a week, compared to 42% of non-flexible workers. The top benefits of flexible working cited by employees living in London who already work flexibly are: better work-life balance (53%), less time spent commuting (32%), reduced stress (30%) and improved productivity (30%). Overall, it is clear that introducing ‘agile working’ can not only boost productivity but may also improve employees’ engagement, motivation and goodwill towards your business.